How many times have you 'Time traveled' today? In order to even entertain an answer to that question you have to use the Magic Mind Machine to travel back and re-view your day to re-call your actions. What is your favorite season of the year?...your favorite location?...your proudest moment? Each question requires the easy and natural ability to time travel in your mind to get an answer. Discover several 1-word conversational inductions for regression and future pacing. Go beyond the Informed Child technique to include parallel, horizontal, and holographic exploration in the past and in the future. Experience a group Magic Mind traveling experience to the outer limits for change and receive the process in a handout for use with your clients or groups. Practice hypnotic time travel for resource building and increase your confidence in the creative use of your Magic Mind Machine to guide your clients to successful solutions. The meaning is in the Metaphor. Imagine how much success you can have as you give your clients a hands-on approach that draws out their metaphors for a flash of insight and deep understanding of the mental pictures creating their model of the world. Discover a technique to use with children or with adult clients to easily connect them to their creative genius for problem solving. 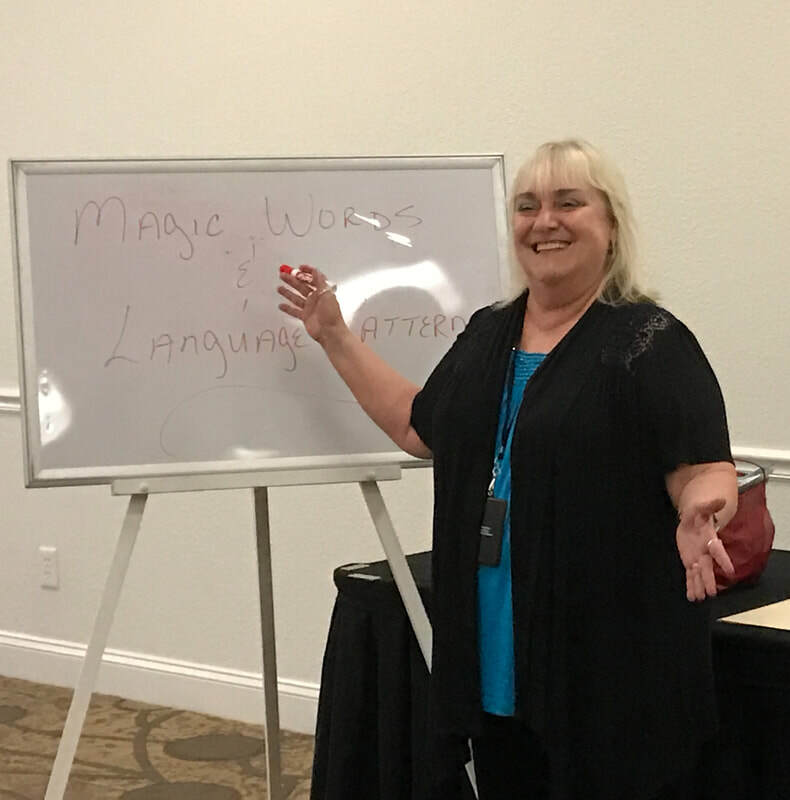 Plus, this fun and efficient technique is an excellent turn-key presentation for groups as an introduction to the Magic of the Mind. For more information, visit the HypnoThoughts Live website or contact Karen at 312-315-2100.